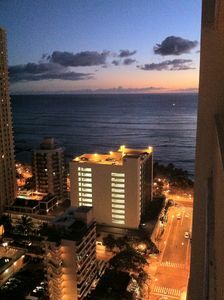 2 Bedroom Premier - Ocean View on a high floor in paradise to celebrate Christmas with your family. Check in December 22nd and spend 7 magical nights on your tropical getaway at The Grand Islander by Hilton Grand Vacations. 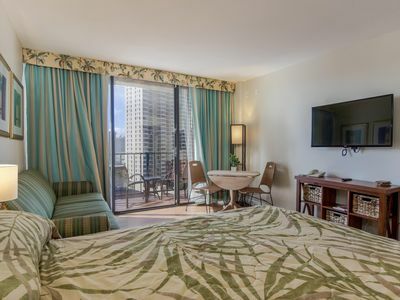 Set within the Hilton Hawaiian Village Waikiki Beach Resort, this towering *new* hotel features a balcony and full kitchen, plus access to all amenities and experiences at the resort. 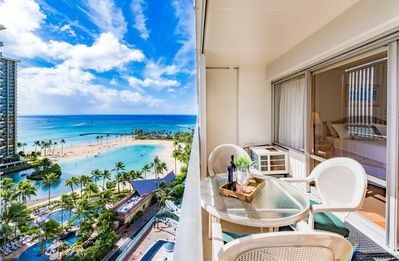 Sink your toes in the vast white sands of Waikiki Beach, and indulge in the resort’s spa, restaurants and bars, swimming pools, and daily activities for all ages. 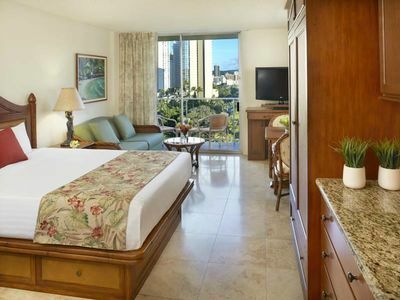 The Grand Islander is the newest resort on Oahu, situated within the Hilton Hawaiian Village Waikiki Beach Resort. 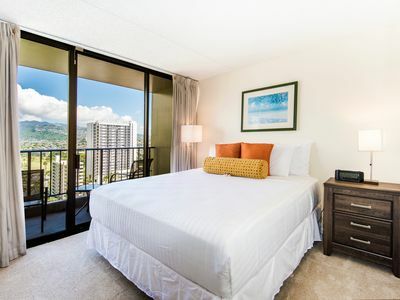 This 37-story contemporary tower offers all the comforts of home and is conveniently located three miles from downtown, 20 minutes from Honolulu International Airport, less than a 10 minute walk from the Hawaii Convention Center and five minutes from the heart of Waikiki. 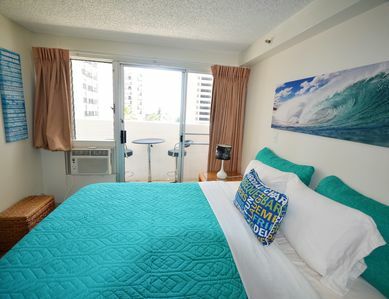 Your two-bedroom, two-bathroom ocean view suite with balcony is located on the 19th - 26th floors and features a master bedroom with king-size bed, 50-inch flat-panel HD TV and spa-like bathroom with a sleek shower, a deep soaking bathtub, private water closet with bidet seat and elegant vanity area. The second bedroom is furnished with a king-size bed or two double beds, 50-inch flat-panel HD TV and bathroom. 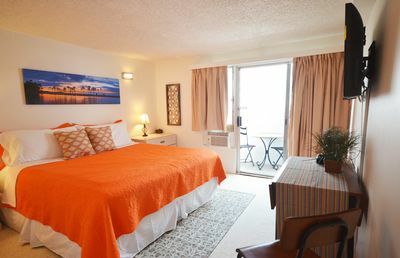 The suite includes a generous living room with dining area, 55-inch flat-panel HD TV, DVD player, and queen-size sleeper sofa, as well as a fully equipped stainless kitchen with stove, oven, refrigerator, dishwasher, and microwave and washer/dryer. Feel the warm ambience as you enter the lobby, where you'll find a peaceful waterfall and check-in desk exclusively for guests of The Grand Islander. 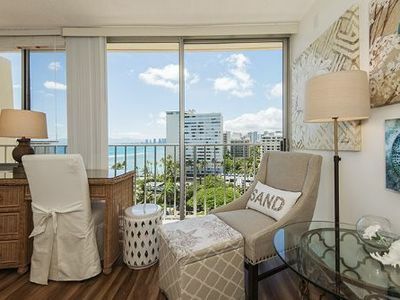 Hotel decor is rich in local colors, textures and designs to match Oahu's natural beauty and guest suites are furnished with locally sourced materials. Relax in the exclusive arrival/departure lounge. 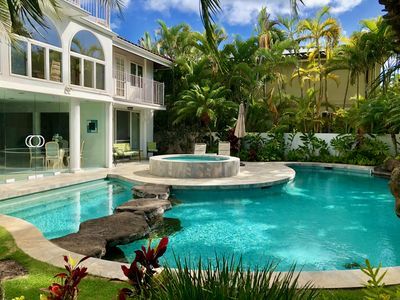 In addition to the exclusive third-floor mini-pool and hot tub, Grand Islander guests enjoy all Hilton Hawaiian Village amenities. 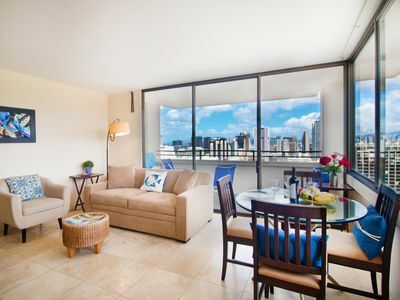 Rejuvenate at Mandara Spa & Fitness Center, or relax at the six pools – including Waikiki’s longest waterslide. The resort has over 20 dining outlets, plus boutiques and water sports. 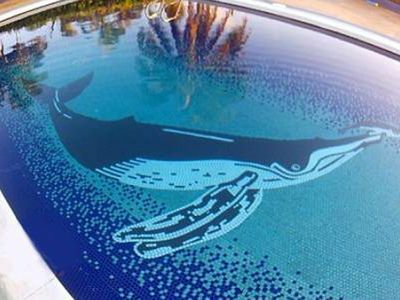 •	Self-parking fee is $39 per night and valet parking fee is $47 per night, subject to change. 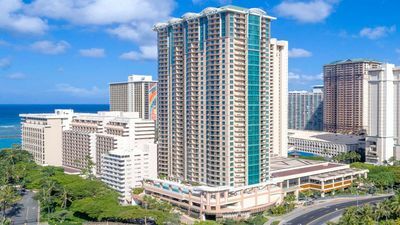 •	Please note: The state of Hawaii assesses a lodging tax to guests staying at this resort. A deposit of $250 for incidentals is required at check-in. 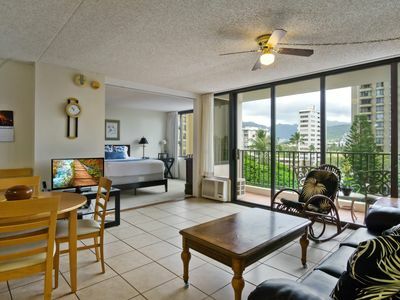 Darmic Waikiki Banyan: Standard | 7th floor | 1 bdrm | FREE wifi and parking | AC | Quality amenities |Only 5 mins walk to the beach! 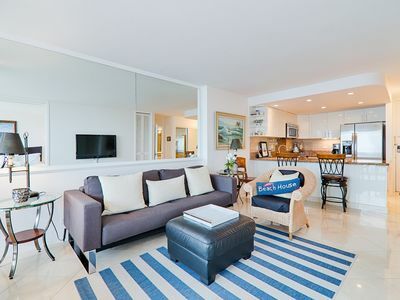 Gorgeous Beachfront Condo! Great Value All Year ! Sleeps 4. 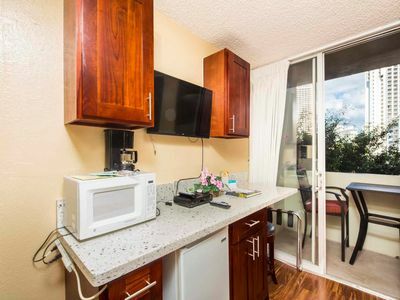 PRIME LOCATION is just one of this studio’s many advantages.